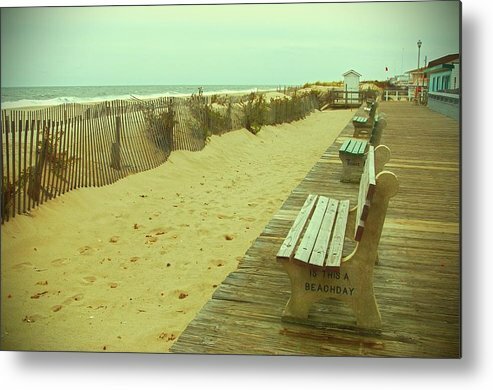 Is This A Beach Day - Jersey Shore by Angie Tirado - 10.000" x 6.625"
Is This A Beach Day - Jersey Shore metal print by Angie Tirado. Bring your artwork to life with the stylish lines and added depth of a metal print. Your image gets printed directly onto a sheet of 1/16" thick aluminum. The aluminum sheet is offset from the wall by a 3/4" thick wooden frame which is attached to the back. The high gloss of the aluminum sheet complements the rich colors of any image to produce stunning results. Awesome scene and wonderful work. 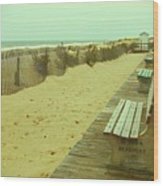 L.
You are so good at perspective and depth makes you want to take a walk down the board walk. Wonderful sand dunes! L♥ved and Faved Follow your page, Angie!!! Great iconic summer photo...Love the POV ! 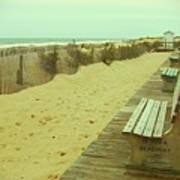 It's always a beach day! Nice image Angie. so beautiful! I love this mood!